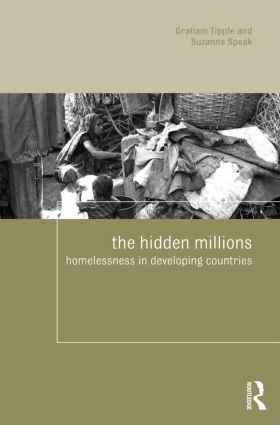 This book explores the extent, causes and characteristics of homelessness in developing countries. Bringing together a major review of literature and empirical case studies, it is invaluable for those studying, researching or working in housing, homelessness, social policy or urban poverty. Drawing on local research in nine countries in the global south, this book offers an insight into the lives of homeless people, public perceptions of homelessness, and the policies and interventions which might variously increase or reduce homelessness. Exploring the human context as well as policy and planning, it will challenge preconceptions.